Here’s the RussianPod101 App Review of what you need to know about this app (THE GOOD and BAD) – and how it can help you. It’s actually called Innovative Language 101. 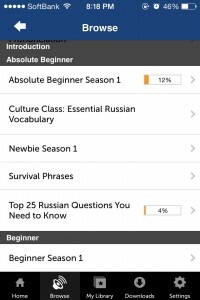 Basically, all of InnovativeLanguage.com’s language programs, including RussianPod101, are available on the App. So, it has 31 languages on there and the reviews seem to be pretty good. A quick look on iTunes shows good ratings. Let’s get to the RussiaPod101 App Review & more details. 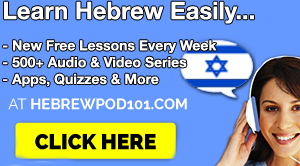 Click here to sign up at RussianPod101 and get the App for free. It’s free to download for all users and has a 7-day free trial. Basic & Premium users can access all of their lessons, lesson notes. It offers 1) mobile-only subscriptions (no discounts available). This means App only. No site access. And 2) site + mobile subscription (yes, you can get discounts) if you register and get a subscription on the site first. – All RussianPod101 Lessons & Lesson Notes. You can take all of your lessons on the go and learn wherever you are. So, if you’re driving or on the train, you can easily start a lesson and put wasted time to use. 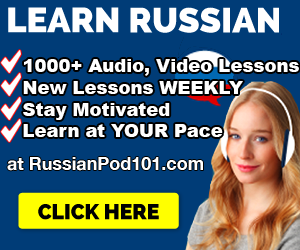 The App gives you complete access to RussianPod101’s lessons and lesson notes. If you’re like me, you just want to have all of their lessons easily available. This is definitely the best aspect of the app. You can turn a lesson on, close your device and walk about your day. Or, if you’re like me, you’ll listen while taking notes. I like to engage with the lessons. You can also read along with lesson notes if you’re free to use your phone. You can track progress, as seen above, and this will sync with your RussianPod101 account. You can download lessons with “Download Manager” so you can access them offline. No need for the iTunes Feed. Line-by-Line Dialog that gives you the line-by-line transcript of each lesson. Very useful to read along with. Vocabulary Lists that give you the vocabulary from that lesson. Mobile Subscriptions vs. On-site Subscriptions. Get the mobile subscription. This gives you App access ONLY. Not the site. Plus, you won’t get discounts because you’ll be buying on iTunes or Google Play, and not at RussianPod101. Get the site subscription. This automatically gives you App access as well. Honestly, if you’re interested in their lessons, I suggest this choice. You can subscribe with a big discount that RussianPod101 advertises sometimes. Because of this, I recommend you sign up at RussianPod101 first (click here) and take advantage of their occasional discounts instead of getting the App alone. You can also find coupons here. So, that’s the App in a nutshell. Let’s get to the review. ✓ TON of Russian lessons at your fingertips. This isn’t a tiny flashcard app that gives you corny grammar quizzes. 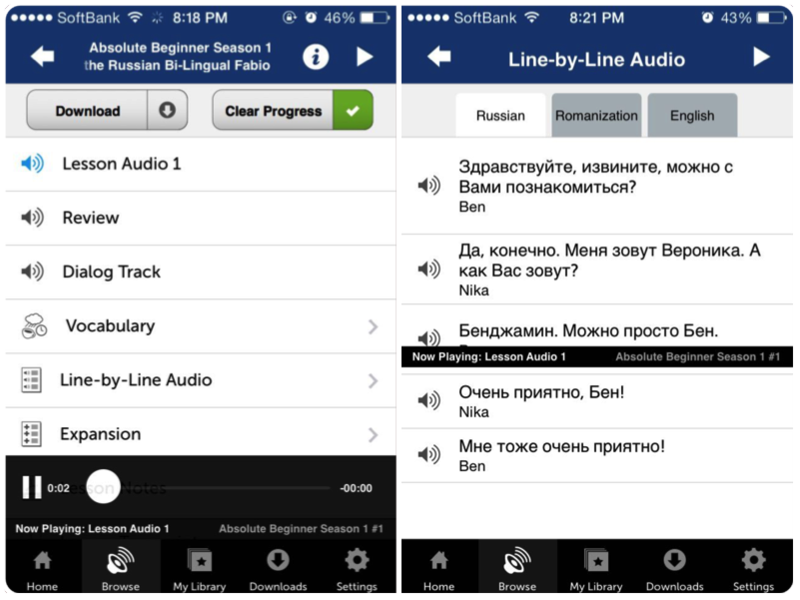 This App is massive and gives you over 700 Russian Audio and Video Lessons teaching real Russian conversation anywhere. ✓ You can read along with lessons. This means you don’t miss a Russian word. Every lesson comes with Lesson Notes and Line-by-Line scripts – which are essentially transcripts of the lesson. ✓ You can learn Russian anywhere, anytime. Obvious, but if you can add 30 minutes of extra learning while you’re on the train, or driving – that’s extra progress in your pocket that you wouldn’t otherwise have. ✓ If you sign up with the website first, you get bigger discounts. 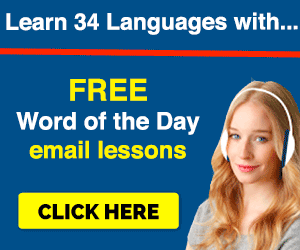 If you can sign up and SPEND less money to learn Russian, you should. In-app prices don’t change. However, when you subscribe to RussianPod101, you can get BIG discounts, plus as a member, you now have complimentary access to the app. ✓ 4+ Reviews on iTunes and Google Play (Android App Store). Other users seem to love it. So of course, it can’t be a RussianPod101 App review without the bad points. The site features that aren’t on the app: Honestly, I’d want to be able to leave comments on lessons and check out the newest lessons that are on the site. RussianPod101 releases new lessons often, but you’d need to check the site. If it was on the app and one tap away, it’d be a lot easier. No Dashboard. The dashboard is one of RussianPod101’s best features. 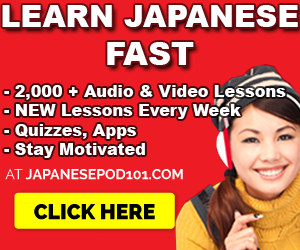 It tracks your progress and tells you what lesson to study next when you access the site. If I wanted to resume my learning, I’d like quick access to the next lesson instead of looking for it. That being said, the app is very useful. Once again, I recommend you get a discount from the site first… (why pay more? )…and get access to both the RussianPod101 website and the App so you can learn on your computer and then on the go. And you’ll be paying a lot less if you choose to go for a Basic or Premium Subscription. I hope you enjoyed the RussianPod101 App Review. Have you tried it? Let me know your thoughts!